The NP07LP NEC projector lamp replacement comes with a genuine original 230 watt Ushio bulb inside. This lamp is rated at 3,500 lumens (brightness equal to the original NEC projector lamp). The NP07LP lamp has a rated life of 4,000 hours (5,000 hours in Eco mode). 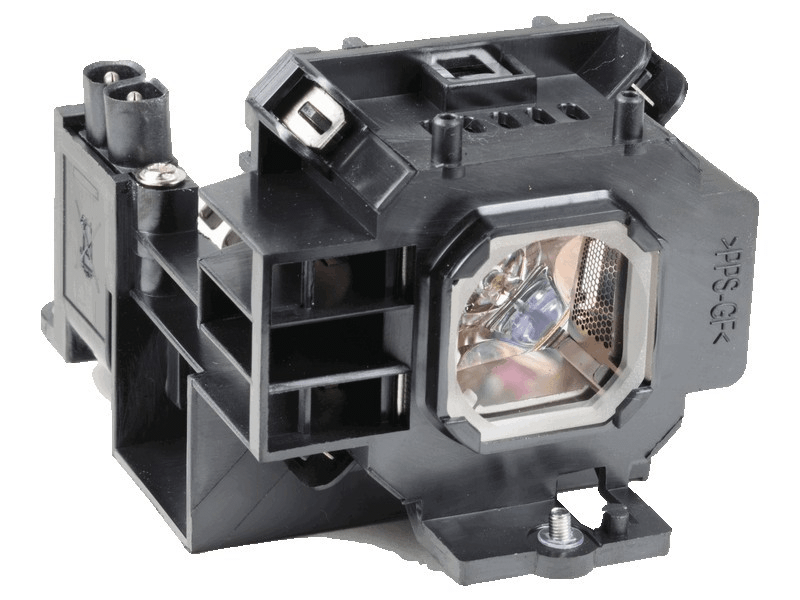 Our NEC NP07LP replacement projector lamps are made with a high quality USHIO brand NSH bulb with main components made in Japan. Beware of cheaper lamps made with generic bulbs with lower quality and lower light output. Lamp works great - thanks for all the help - you are a wonderful company! Quick shipment, received next day. Haven't installed yet and will use as a back up. Looks to be of very high quality. I placed our first order and the NP07LP lamp we received somehow didn't fit into our NEC projector. I placed another order for the same lamp and when it arrived, it installed just fine into that projector. I contacted customer service about sending back the first lamp and getting a replacement for defective one. They were very helpful and apologized that the first one didn't work. I am now waiting for the replacement to be shipped. They have excellent service and are very interested in making the customers' experience a good one. I like to keep one of the various lamps we use on hand as a backup. I finally found a supplier that has quality lamps and great customer service. Pureland Supply Projection Lamps is my now my supplier and I am happy I don't have to keep looking because they have everything I need.